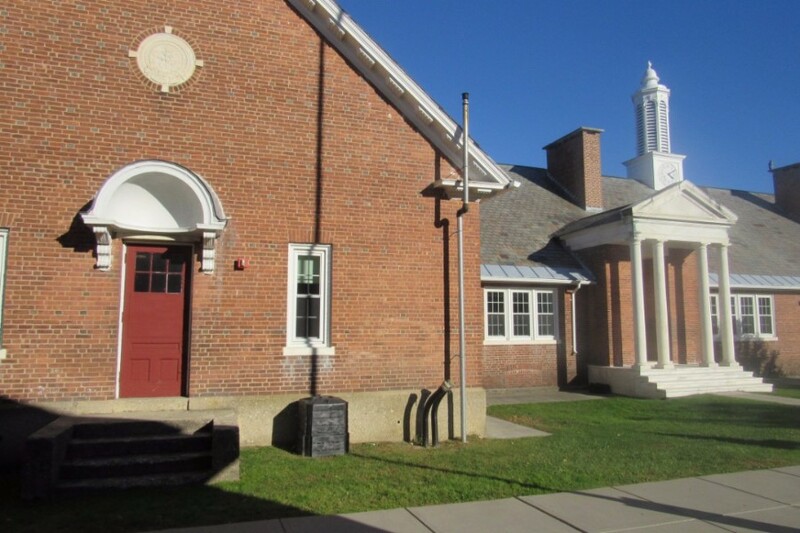 Most public and private school facilities are large, older buildings that consume a large amount of heating fuel each winter. 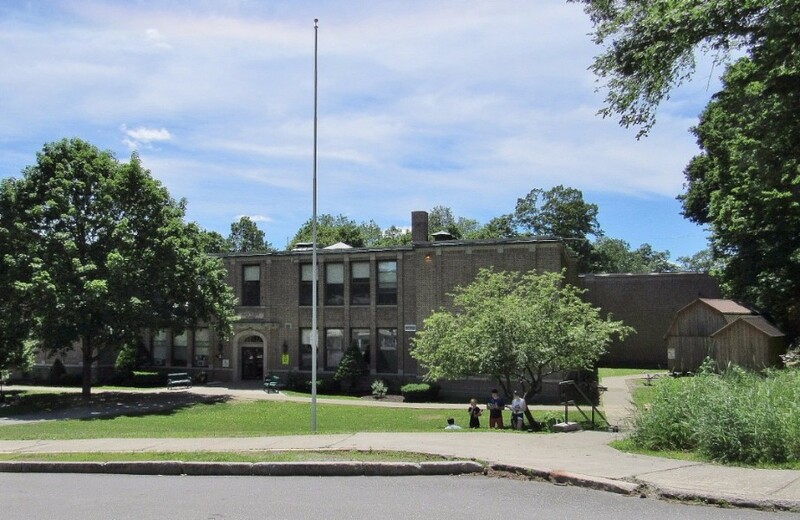 Retrofitting wood chip or pellet boilers into schools can usually be accomplished with a very good return on investment. 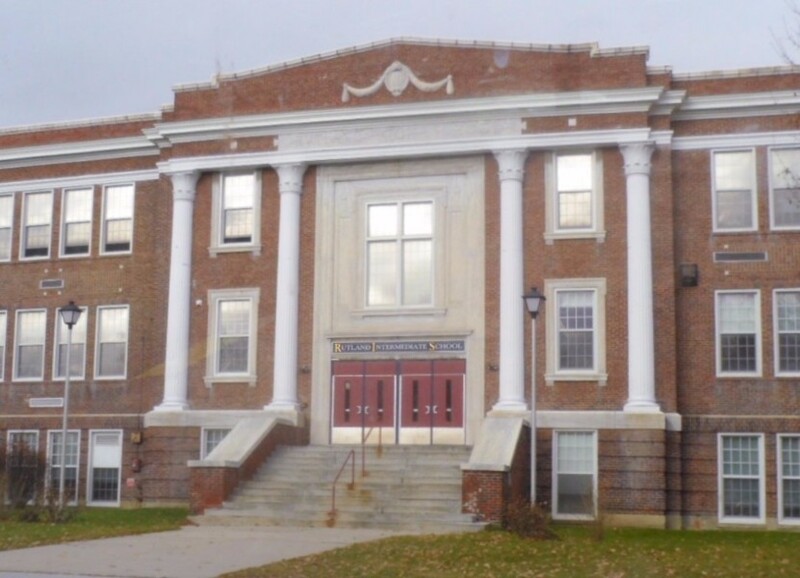 We have done successful retrofits on school buildings of many ages and styles of architecture. 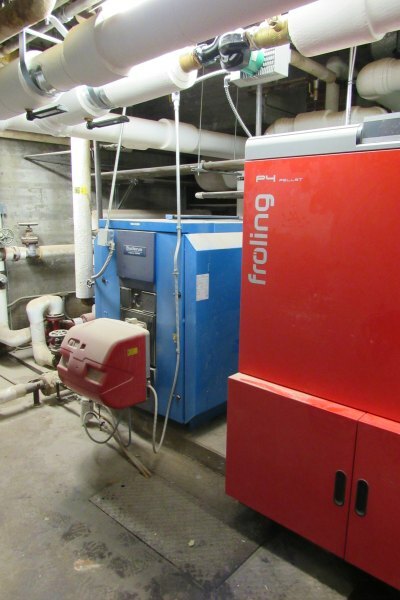 Campuses and new school buildings are also great candidates for biomass boiler systems. The wild swings in oil and LP prices that schools have experienced over the last 10 years made accurate budgeting very hard to do. Lately, the price of oil has been low—but when will it rise again? In comparison, the cost of wood pellets and chips have been very stable for decades—and much lower in cost than those fossil fuels using a ten-year view. The Education Market is very important to Froling Energy. 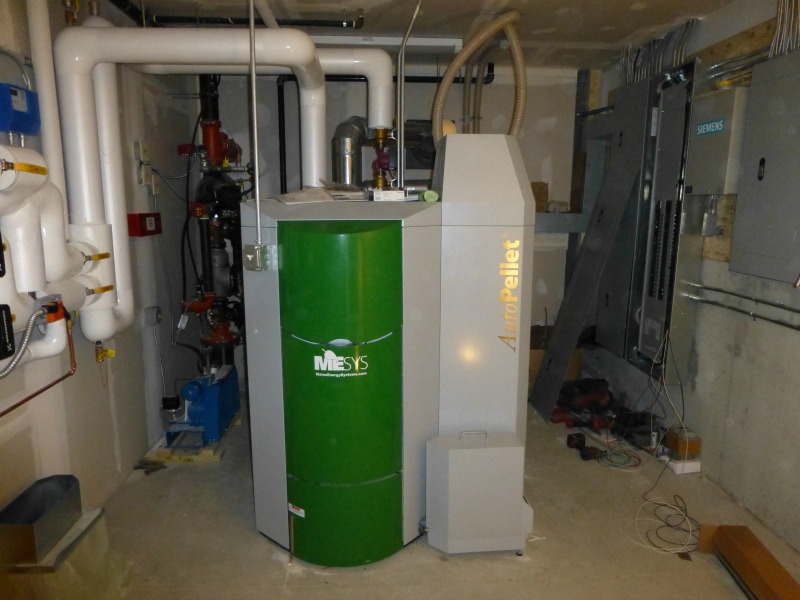 Our business has been largely built on installing biomass boiler system in Schools and Institutions. 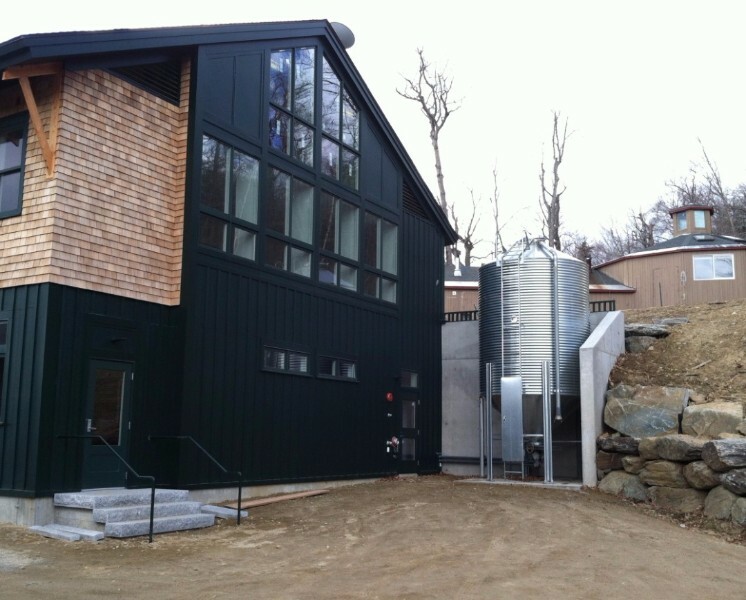 These are big, complex heating systems. 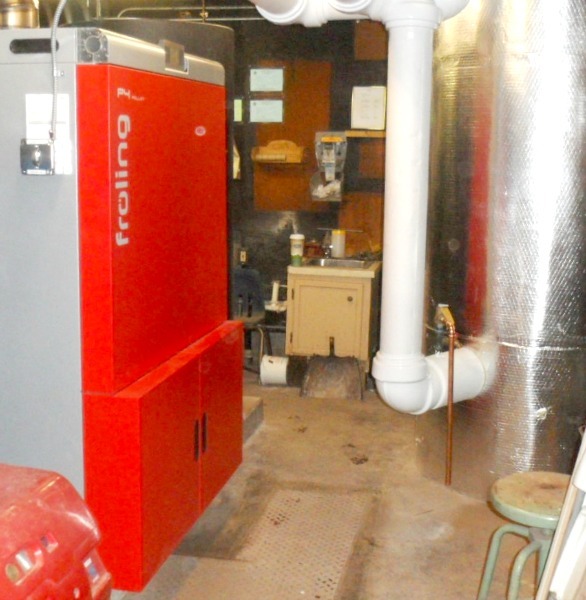 Expert skills are required to make sure the systems and controls are properly integrated for efficient and effective heating. 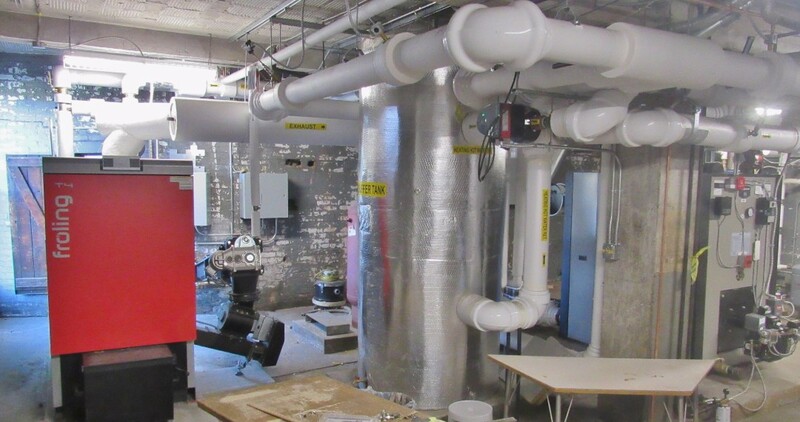 On a typical project, we rip out all the old boilers and boiler room piping and replace it with a more efficient multiple fuel system. 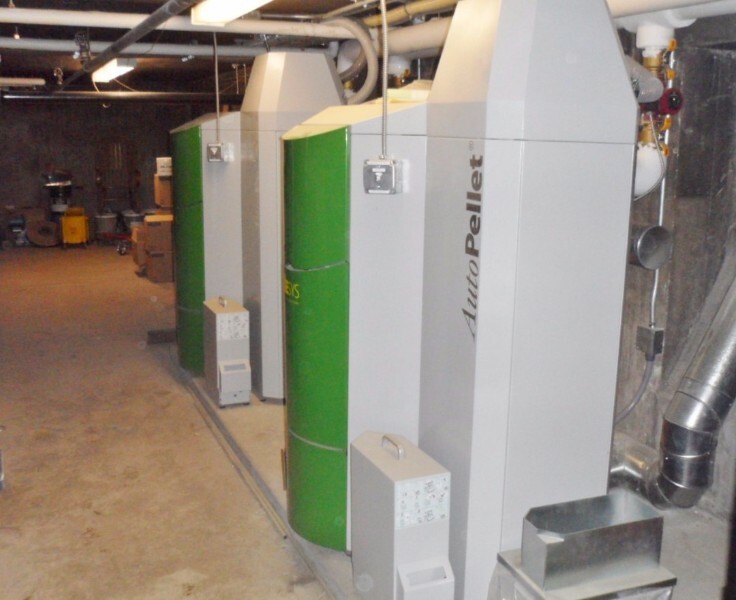 Wood pellets or our PDC dry wood chips take over as the dominant fuel, covering more than 90% of the heating, while oil or LP boilers do only a small fraction of the work. 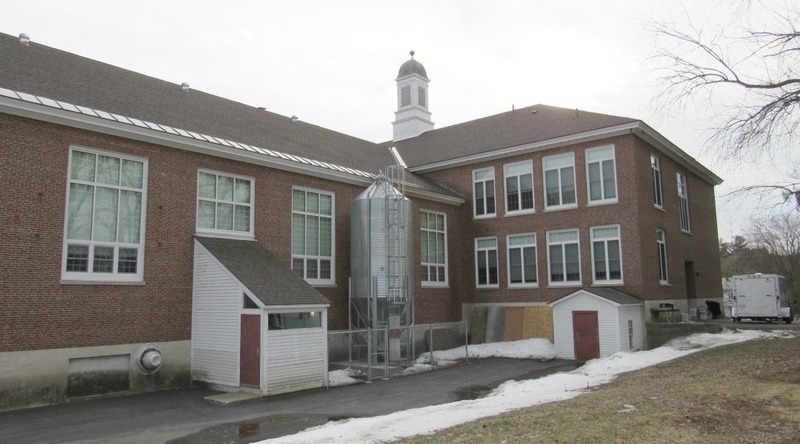 Most of the New England states have grant or rebate programs that support the conversion of school buildings to biomass. 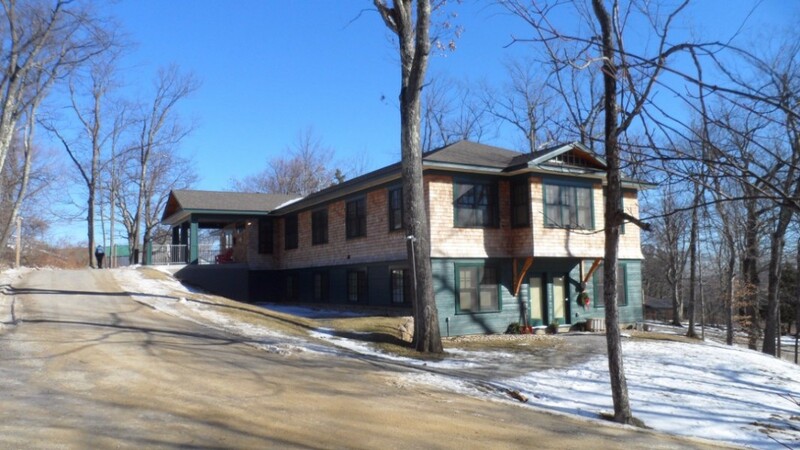 We can help you with more information. 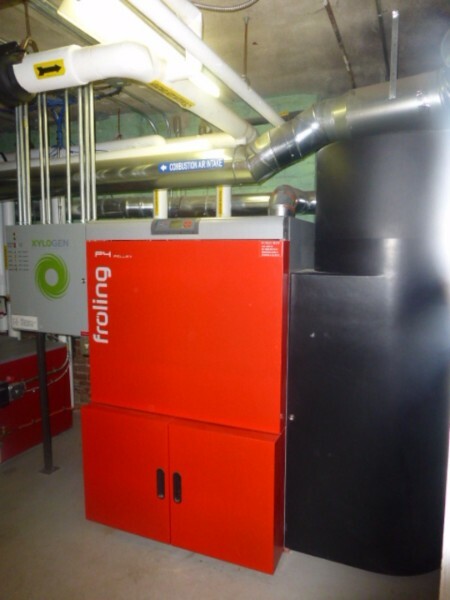 One of the two Fröling pellet boilers and buffer tank. 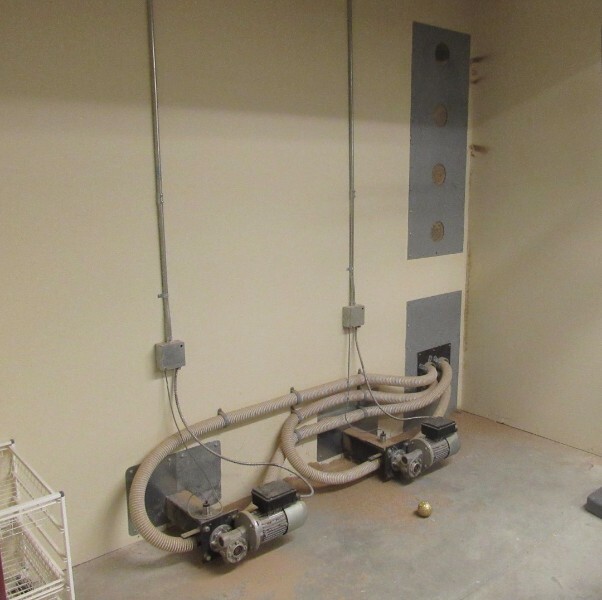 The pneumatic pellet feed system from the bins. 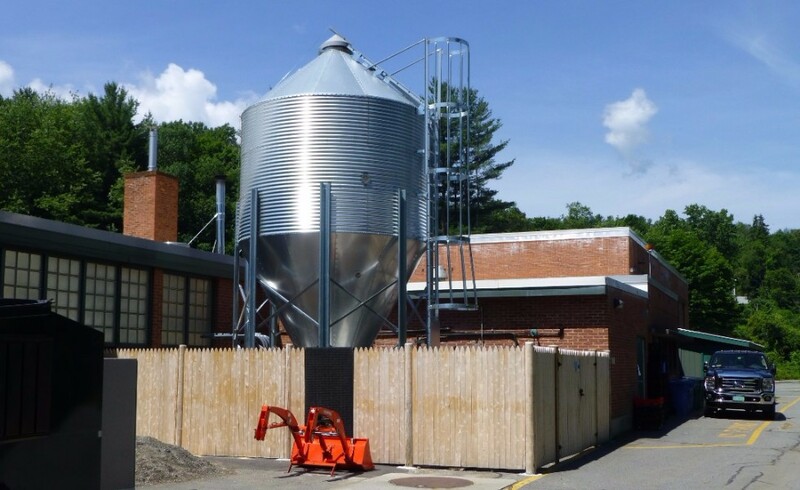 An 18 ton wood pellet silo is tucked away behind the school along a blank wall area. 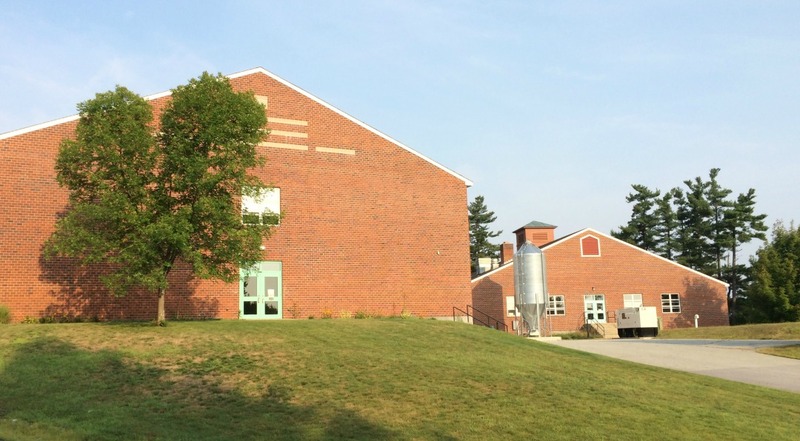 The school's 400 gallon buffer tank. 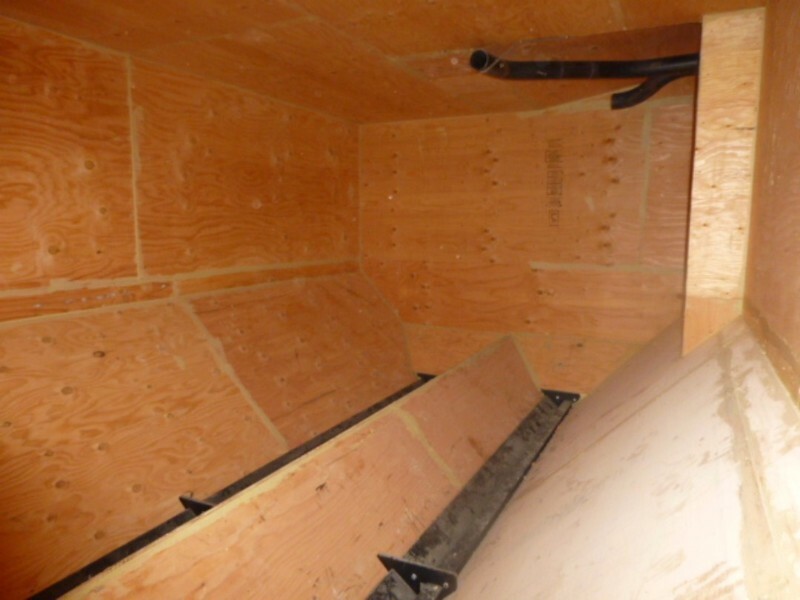 Interior of the site built pellet bin. 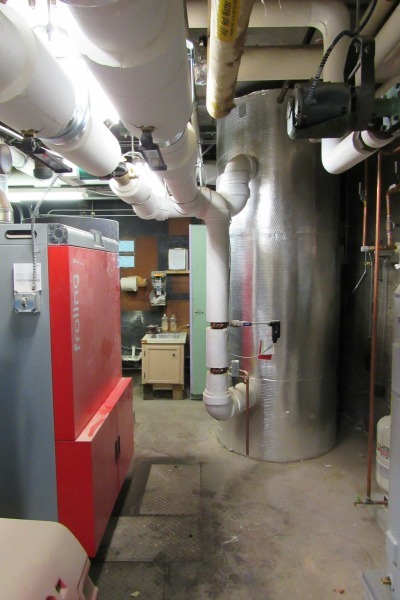 The existing Buderus oil fired boiler does peaking and back-up duty. 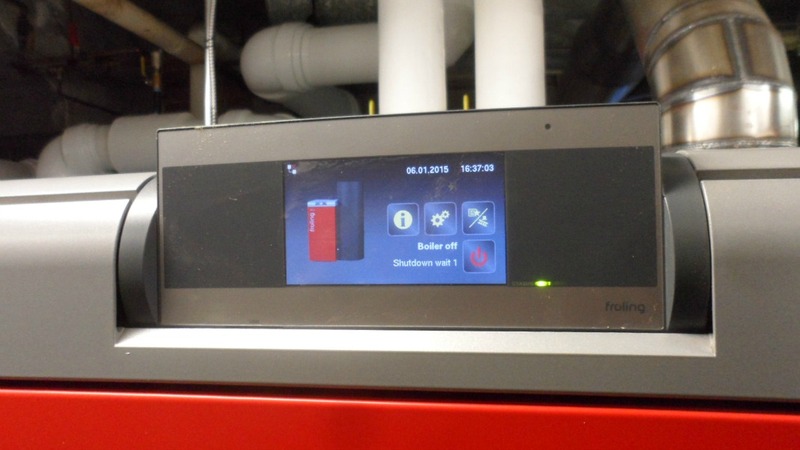 The Froling boiler's touch screen display. 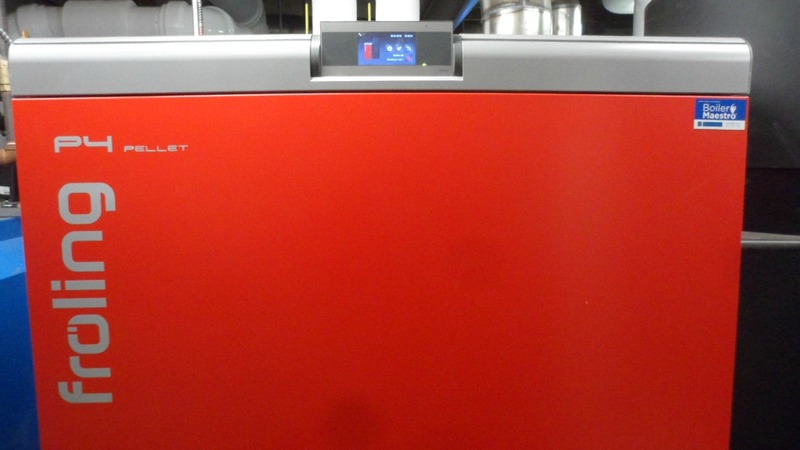 The super-quiet Froling P4-100 pellet boiler outputs 342,000 BTU/hour. 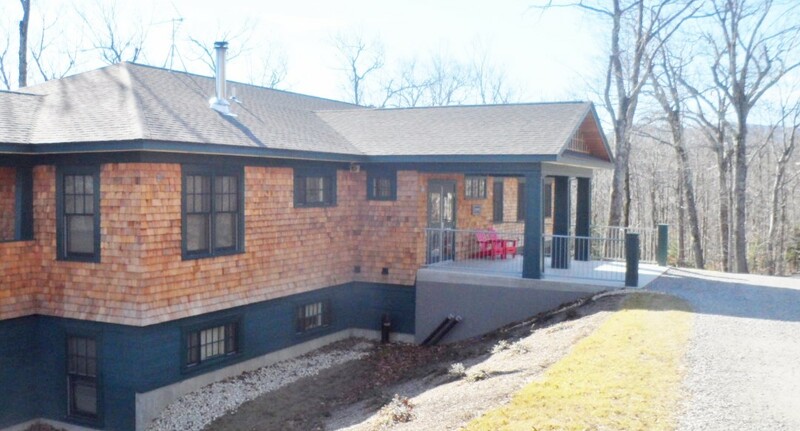 Another view of the Monadnock Dormitory. 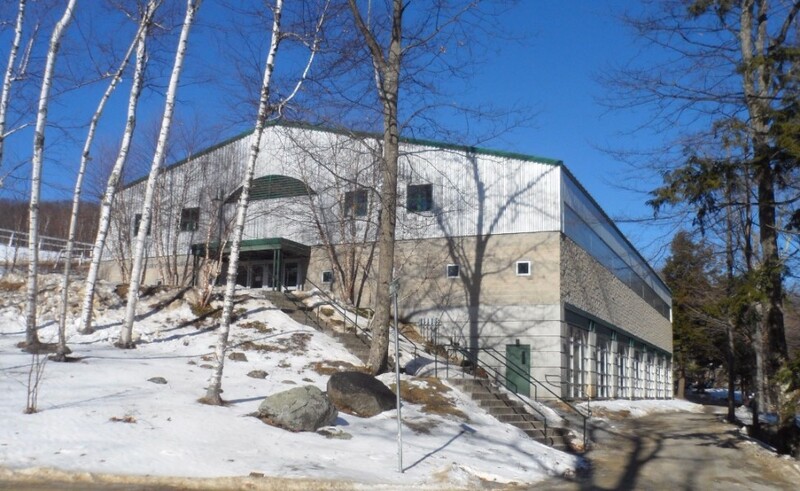 The gym includes exercise and training rooms below the basketball court on the main floor. 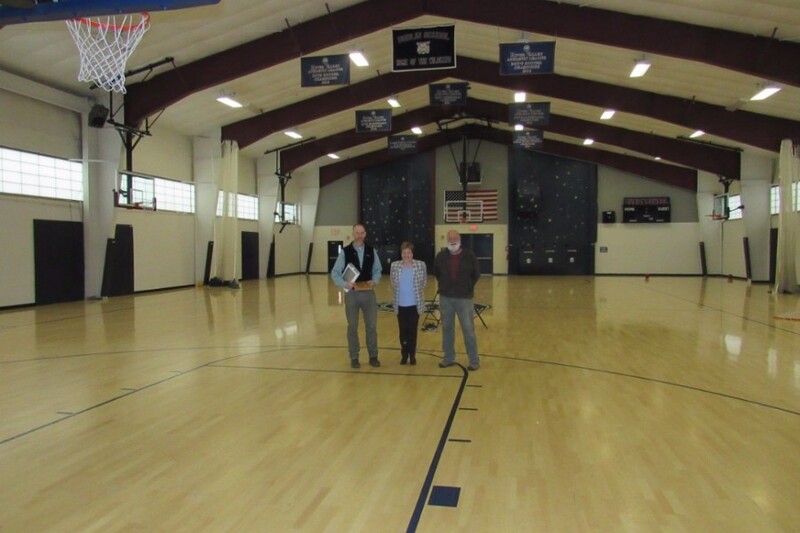 Inside the Dublin School Gym.This project was awarded a plaque by the NH Wood Energy Council. 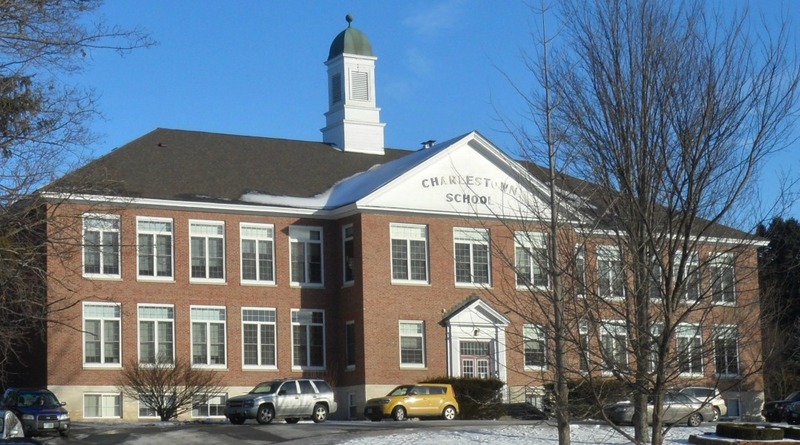 The classic design of Charlestown Elementary School.